The Tower Ballroom, near the ‘reser’ was a great venue, and like the Locarno, had a revolving stage. Many star and local acts appeared here over the few decades it was open. It was also well known for it’s ‘Grab-a-Granny’ nights, and I spent many night on those ocassions, even though most fellas, there were only in their 20’s and 30’s! and spent almost half-a-million pounds restoring it to its former glory. the Merseybeats and the Cufflinks. American Four Tops, Abba UK, Joe Longthorne, the American Drifters, the Extreme Supremes and the Union Gap. Going here was a bit like going to the sea-side. I saw 2 of my favorite gigs here – The Smiths 9/2/84 and Eek-a-Mouse the same year. Brilliant. I vivdly remember seeing The Damned on 8 September 1983. It was an experience that I will never forget. I had never before ( or since) witnessed the whole spitting at the band scenario, but the comedy moment of the night occurred when one of the palm trees was pulled from the ceiling and then passed around above the heads of the crowd !!! I was there that night, too. The plaster dust from the ceiling tiles poked out by that palm tree mixed with the hail of gob from the punters until everyone resembled The Homepride Man (‘Graded grains make finer flour’…..remember that one?). And the toilets stank of glue. 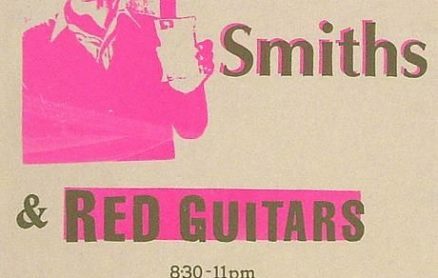 Brian Farley and I put the Smiths on here in Feb 1984. It was supposed to be Nov 83 but Morrissey had a sore throat. It was a sell out as This Charming man had hit the charts.I remember walking out of Virgin Records with £15000 in my briefcase from advanced sales. 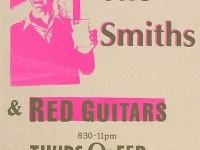 Red Guitars supported them. An amazing night. 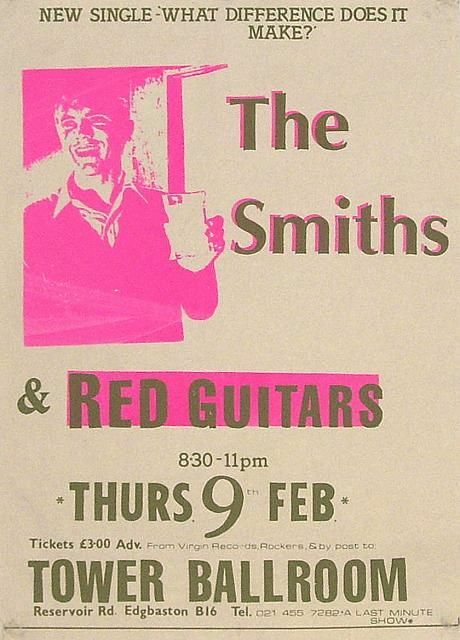 The Smiths in Feb ’84 was an amazing gig. I was 17 and went with my brother who had seen them in Liverpool the week before. I pushed towards the friont and when, inevitably, Morrissey unbuttoned his shirt and threw it in toi the audience I managed to secure a piece as it was torn to pieces. A classic night. I was part of the pop band 1970 onwards for 2 years, the other side of the revolving stage was Bobby Bobby Johnsons Big Band. I remember the palm trees and during the 3 days week when we had national power cuts they had their own power generators to keep us going. Sometimes the power would drop and we all had to physically push the stage around….happy days. I have been attending live gigs for over 40 years now ( over 1000 concerts -and still do ) but the “Dead can Dance” gig I saw there on 6/8/87 is in my all time top 3. Saw them at the right time the previous 2 albums” Spleen and Ideal” and the most recent” within the ” realm of a dying sun ” were/are 2 of the group’s best albums. The venue was not full but most of the audience were certainly Goths (I was not a Goth and do not regard DCD as Goth). I remember the support band playing and everyone was seated at the back of the dance floor. But when DCD came on myself and a group of my friends’ walked to the front of the stage right in front of Lisa Gerrard. The rest of the seated crowd followed us !. The gig was brilliant and the set list incredible. Far better than recent DCD gigs. Even had a surreal encounter with Lisa G. After the encores’ she stepped off the stage and walked through the audience. As she walked past me she was stopped by an USA /Goth girl who told her she could make her look “more beautiful” I said I think Miss Gerrard is already beautiful. The girl agreed but said to LG “yes but I can make you even more beautiful with my make up. LG’s reply and expression will stay with me until I die. She looked blankly at the USA Goth girl and without an expression on her face said very slowly “thank you very much” then she wheeled away and walked off ! great night and memories’ any one else there that night feel free to contact me. i saw the band again in London in 89 and 90, and LG solo London 95. But that first encounter is my fav. Likewise, my favourite DCD gig. Myself and three friends ventured all the way from Nottingham and slept on Birmingham train station afterwards because it was too late to get home. I remember Lisa coming on stage with a cup of tea, complete with saucer. Support band was Heavenly Bodies, perhaps? I recall the whole band (DCD) playing percussion at one point – cymbal cases, anything that came to hand. I used to go to “The Tower” during the 70s & 80s, especially to the ‘Grab-a-Granny’ nights on a Wednesday when I met many a married lady, who had removed her wedding ring in the cloakroom, I even had a fling with one, happy days or should I say, nights. I was the resident Bandleader at the (Gay) Tower Ballroom from October 1966-January 1980 in it’s Mecca days and a stupendous business it developed into after my first few weeks there. Over the years we must have played to many hundreds of thousands, a great many met there,fell in love there, married and then brought their offsprings in. I saw New Order twice here, an early version of The Wonderstuff and The Happy Mondays supporting on one of the gigs. Still have the poster!